An Oregon native, Alison Brown first discovered sculpture during a Will Vinton "Claymation" class at age eleven. She felt a unique joy working with clay, but did not consider sculpting professionally until her junior year of college when she walked into the Rip Caswell Gallery in Troutdale, Oregon. ​After finishing her education at the University of Oregon, she returned to the gallery and assisted Caswell on three large-scale monument projects. 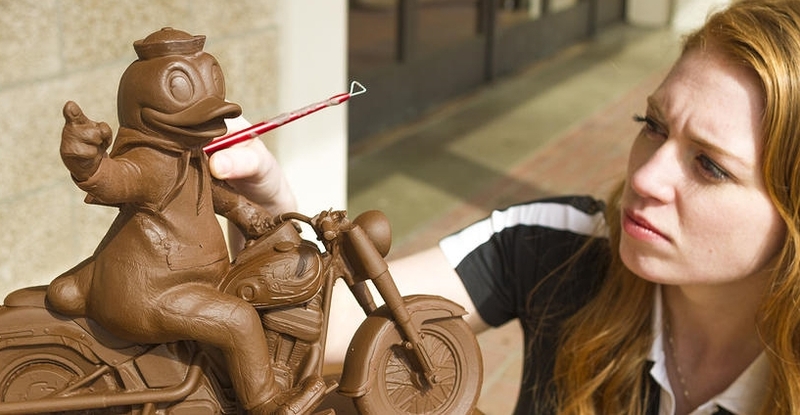 Applying what she learned from Caswell, she began creating bronze sculptures of her university's "Duck" mascot. Now, licensed by Disney and the UO Brand Management department, her mascot work is available at the University of Oregon bookstore, The Duck Store. Alison purchased the Art Center in late 2014, and effective August, 2017, is now Alison Caswell :).